Would you know what to do if the photocopier broke? And I mean REALLY broke… You’ve unjammed it, kicked it, sworn at it, turn it on and off but it just. won’t. work. What’s your next step? Panic? Scream? Cry? Fear thee not. Here are some ideas that could help ease those panic-stricken moments when you have to deliver a material free lesson, or when you need a warmer/cooler/filler. No photocopies, not high-tech gadgetry, just a teacher, some students, and a few scraps of paper. Dictate 8 or so infinitives (regular and irregular) and get the students to write down the past participle of the verbs. Elicit the answers, and put them in the middle of the board. Then elicit a complement for the verb and write that to the right of the participle. For example: You say “ride”, and the students write down “ridden” (which you put in the middle of the board). Then get the students to suggest things you can ride (bike, camel, horse, unicycle). Choose the most interesting one and write it next to the verb. When you’ve finished with all the participles, on the left hand side, write “Have you ever”. Have you ever ridden a camel? There you have a “Find someone who” activity which required no photocopying or preparation. It can be adapted for any level and grammar point. Future Perfect (Find someone who will have bought a house/ got married/ had children/ travelled to Australia by 2020). This next activity works better with higher levels and focusses on speaking and fluency. It can last up to an hour if you collect some errors and do some feedback. Put the students into group of 3 or 4. They put all their papers together, then line them up in a ladder on the table in chronological order. It might be an idea to cellotape the ladder to the table at this point. Give each group one dice and one counter. 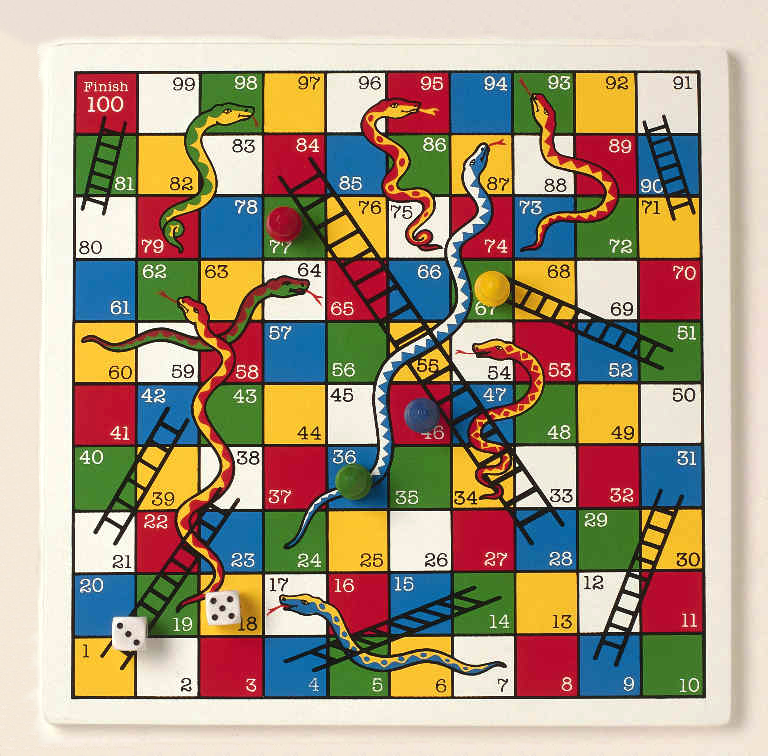 They roll the dice and move the counter up the ladder for the correct number. The owner of the paper then has to talk about this event for 2 minutes (less for lower levels) and the other students must be ready to ask one questions each when the time is up. Fold the paper over when it’s done so it isn’t repeated then continue until they have all been spoken about. Part 2 to follow! Enjoy and let me know how it goes! Just to compensate for being so rubbish at posting…. 2 in one day! I was reminded of this idea when I posted about the magazine activity. It’s a nice little warmer/filler or even use towards the end as a competition to finish on a high. Buy enough copies of the same magazine/newspaper so each pair of students has a copy in your class. Then create a short quiz about stories in the paper, and the students have to use scan read the article to find the answers. Obviously the answer has to be in the story, it’s not a general knowledge quiz! The students then have to flick through the paper and find where the story is (you could include page numbers if you were feeling generous) using headlines and pictures to guide them, then they have to look for specific information. I tried a similar exercise with an IELTS class, as they were having trouble with the reading section of their exam as they would laboriously read every single word to find an answer and then ran out of time! I have been terrible at posting regularly! I will endeavour to improve this! I have just started on a new adventure in my EFL path, I have come to Naples in Italy for a few months. I will be teaching mainly children, which is completely new to me, so any help, advice or tips would be greatly appreciated. I was watching a lesson today with some very young children (6? 7?) and watched an interesting activity which was great for kids, but I imagine could work for any age level at elementary and possible pre-int. The teacher had taught adjectives to describe people (old/young, beautiful/ugly, weak/strong, boy/girl etc….). She then handed out some magazines (ie. OK!, Hello – those kind of celebrity and real life ones) and it was a race to “find a boy” “find someone beautiful” in pairs. It was such a lovely way to reinforce the vocab and totally change the dynamic of the lesson. It could also be adapted to clothes vocabulary (jeans, dress, tight/loose, spotty, patterned), more appearances (blonde, tall etc.). 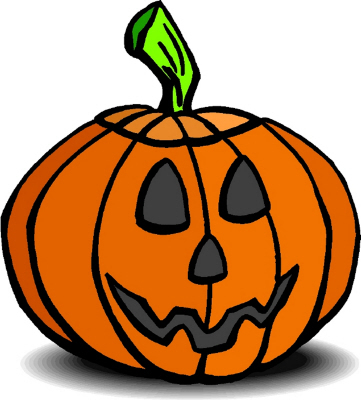 I started out this afternoons with big ideas about a Halloween lesson, with pumpkins and scary stories etc… but there is just too much stuff out there and didn’t know where to start with finding something I could use in the classroom! I wanted to combine a useful skills lesson with something a bit more fun and engaging, so decided to do a reading, and also watch a video clip of some sort. I settled on watching The Simpsons “Treehouse of Horror X” as my previous Simpsons lessons was really well received (I’m doing this with a different class though so watch this space… it may be a huge failure!). I watched the episode and wrote some questions for the first two horror stories. I also found a good multiple choice reading from Sean Banville’s Holiday Lessons website: http://www.eslholidaylessons.com/ The multiple choice focuses on some common issues my students have, so it will be useful grammatically as well as culturally. I’m going to combine this with some vocabulary picture matching at the beginning of the lesson, and then get them to write the ending to a scary story for homework. If we have time, and if I can keep the classroom clean enough, we might do some apple bobbing! If you have any links to good video clips or useful ideas or materials, please post them! I find this is a good way to revise grammar and get the students to teat each other. Photocopy a basic snakes and ladders board game (Cutting edge teachers book at starter/elementary and pre-int) has a copy in the back of it, or use a real board if you like. one of the square should have a question mark on them (or all of them if you like!). When a person lands on a question mark, they must take a card which has a question on it. It’s a good idea to get the students to make the question cards which revise all of that week’s/month’s/course’s vocabulary and grammar. Jumbled sentences, gap fills, collocation and conjugations also make good questions. The students grade the questions as they are focusing on the topics covered in their class and it also provide a fun way to revise on a Friday rather than a normal gap-fill exercise! I’ve done this with a variety of levels and ages and it has always worked well – the students feel challenged as they spend the first part of the lesson writing questions but spend the second half in a more fun frame of mind “playing a game” and learning. There is a quiz shoe in Britain called “Countdown” where the contensants have to make words out of 9 letters. I use this same idea in my class as a warmer, or as an acitivity to fill the last 10 minutes of a lesson. Choose a 9 letter word: eg, policeman, birthdays, traveller, spiderweb, superhero, tracksuit. Then draw a 3×3 grid on the board and mix the letters up. 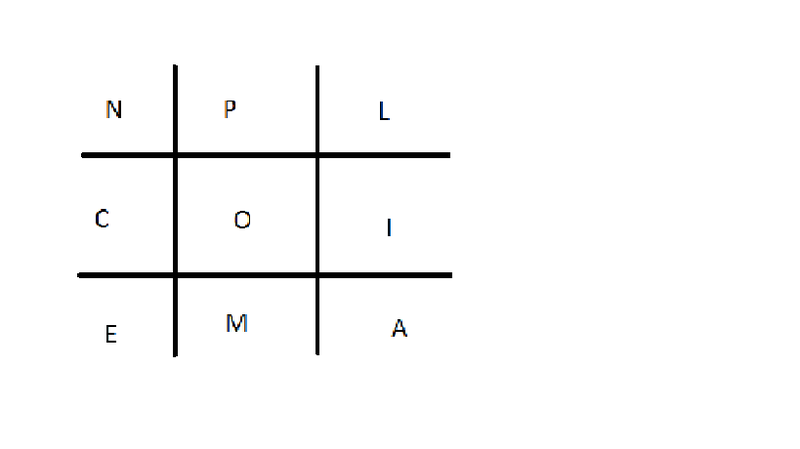 In pairs, give the students 5 minutes to find as many words as possible (min 3 letters). Tell them there is a 9 letter word which is worth extra points. I’m sure this has been used and used and re-used some more in your classes, but I used this in a class last week and even though I had used it before, I was surprised at the results, so thought I would put it on here to remind you that it is a great activity to use. For those who may not be familiar with the concept of Speed Dating, a quick summary: Strangers go to the event and spend about 5 minutes at a table talking to a partner, a bell then sounds and they move round to the next person. They fill out an opinion form and hand them in to the organisers. If there are any matches, the organisers send their details to one another and romance blossoms from there! You can use this activity at any level. It works with elementary students who are learning to introduce themselves and ask people questions. I have used it with intermediate students to improve fluency and last week I used it with advanced students who had to include more complex vocabulary and had to portray certain characteristics. They were very lathargic on a hot Friday afternoon but became full of energy and motivation once they started speed dating! I find that getting students to make a new personality brings them out of themselves and gets rid of any shyness that there may have been before. You could give them a magazine and they have to find a photo of a person to be which can be quite fun. They then need to invent a new name, age, personality profile (for higher students to act out), job, family imformation, hobbies and interests. Give them about 5-10 minutes for this as this is not the focus, and they may get carried away lookign for photos. Set the tables up so one “date” takes place at each table. Give the students a maximum of 5 minutes (I find 3 minutes helps keep the pace up and means they don’t have any awkward silences) to talk to each other, then move one set around so they speak to as many people as possible. When they have spoken to everyone, bring them back together as a class and see who they made a note of who they liked… See if any romances have blossomed! I have had 80 year old alcholics, 20 year old New York City singers and dancers, ego-centric socialites and lots and lots of giggles! These are some ideas that I have tried out in the classroom and want to share. Some are more original than others. I hope that by reading through my blog, you learn something new, or come across an old idea you used to use and now want to try it again! I believe that we should all share our ideas to help make education fun and effective!